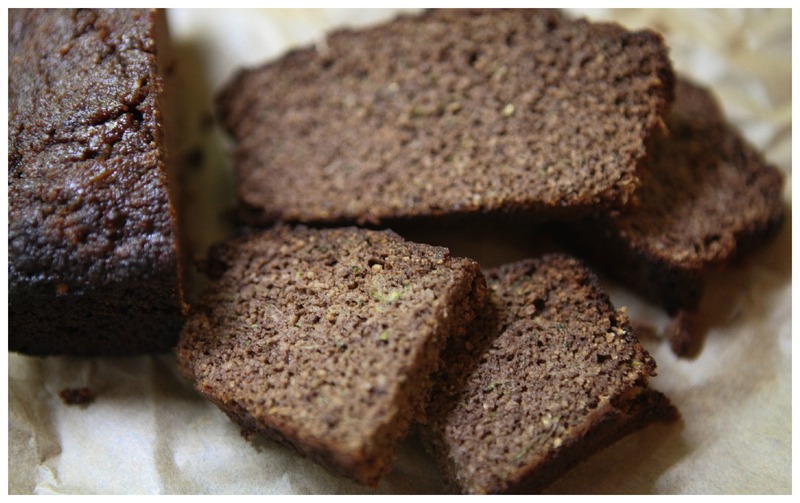 In my quest to use all of the giant bag of coconut flour I bought for the bargain price of €4.95 I have been trawling the internet looking for suggestions and I came across the idea or making zucchini bread, courgette bread if you are Irish. 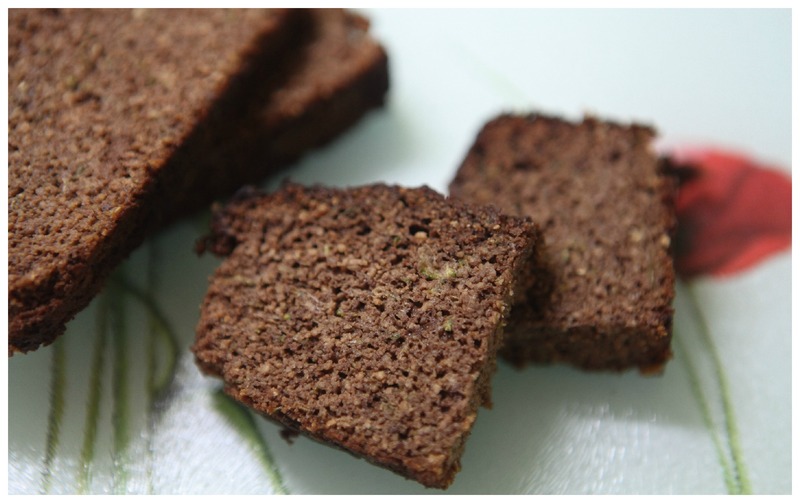 There are quite a few recipes for zucchini cake and bread around but I have been slow to try them with Gluten Free flour as I was worried the resulting cake would be too wet and I hate nothing more than a cake that is more heavily damp than delightfully moist. Given how absorbent coconut flour is I thought it might stand up to the amount of moisture released by the zucchini while baking. The zucchini bread was so much nicer than I had expected, I am always slightly suspicious of the idea healthy baked goods preferring deserts that are deeply indulgent, however this was delicious, with a good hit of chocolate and a nice moist slightly nutty texture from the coconut and courgette. I put the bread in the kitchen at work and it had disappeared before 10.00am so if the proof of the pudding is in the eating than this recipe was a success. 2 cups of grated courgette / zucchini. It took one large courgette to get the two cups. • Butter and line a loaf tin with baking parchment. Even though I buttered the baking parchment the bread was quite sticky and I had to be very careful when peeling bake the paper once the bread was baked. 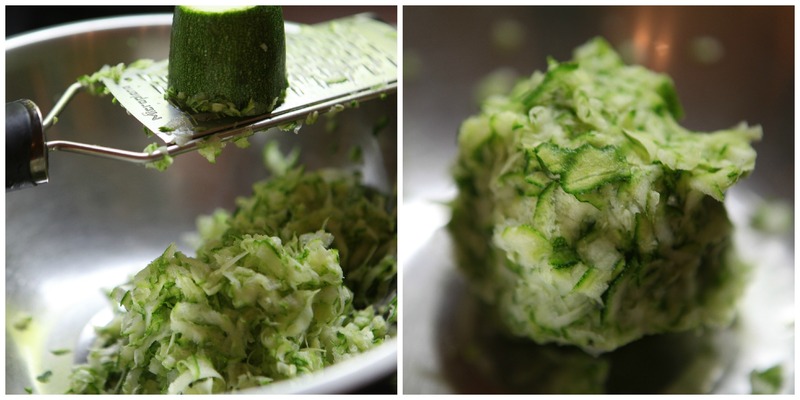 • Ake your two cups of grated courgette and squeeze to remove as much of liquid as you can. 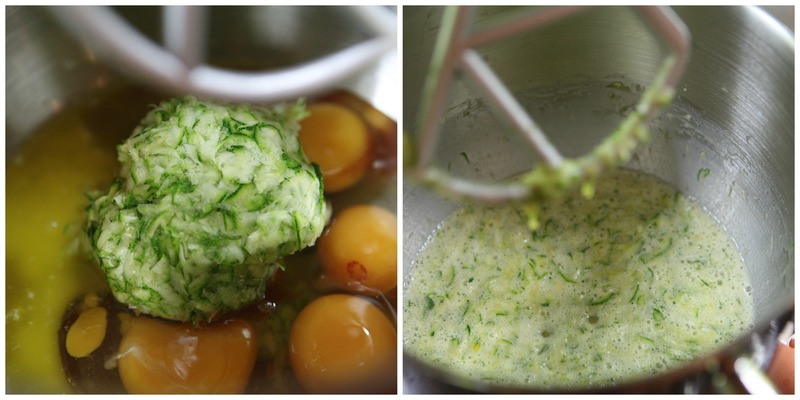 • Place the courgette, melted butter, eggs, honey and vanilla extract in a bowl and beat until everything is combined. I used my electric mixer but a hand whisk would do just as well as you are not looking for volume you are just combining all the ingredients. 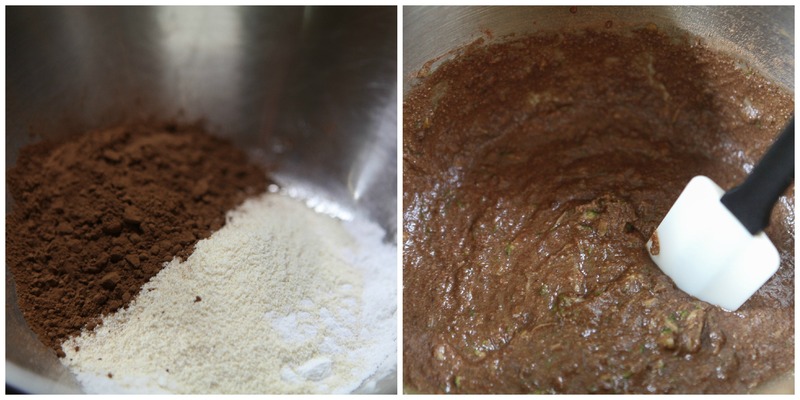 • In another bowl stir together the coconut flour, salt, baking powder and cocoa powder. • Add the dry ingredients to the cake batter and mix until combined. • Scrape the batter in to the prepared loaf tin and place in the oven for forty to forty five minutes or until a cake tester comes out clean when you check. • If you feel the top of the cake is getting too dark you can cover it with a piece of baking parchment. • Remove the bread from the oven and allow to cool for a few minutes before tipping it out of the time and carefully removing the baking parchment. • Allow to cool fully before slicing and store in an airtight container for a few days, if it lasts that long. I had thought that the bread might need a good layer of butter but it was lovely served unadorned with a cup of tea. This bread is great either for breakfast or a mid -morning snack and if you have children with celiac it would be a nice addition to their lunchbox.